The start of a new year often sees many people promising to take on resolutions to improve their health and wellbeing and this year saw many Brits pledging their support to #Veganuary2019. The Veganuary movement encourages people to try out the vegan lifestyle for the month of January to improve personal health, reduce the impact on the planet and animals and generally becoming more aware of where their food comes from. If you took part in Veganuary, you may now be more conscious of the food that you have been eating, but have you thought about the beauty products you’re using? Here at the Devonshire Spa we are proud to be using the Vegan Standard [ comfort zone ] Tranquillity range. Enjoy spa quality, conscientious beauty from the comfort of your home. The [ comfort zone ] Tranquillity product range contains an exclusive blend of ingredients to deeply nourish, soothe and hydrate the skin. The range of body oils, lotions and shower creams are packed with essential aromatic oils, specifically combined to help melt away stress and help you to rediscover a sense of profound tranquillity and improved wellbeing. 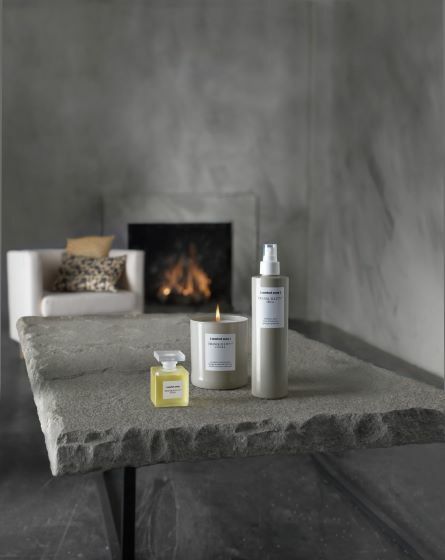 Not only are the products good for the mind, body and soul, the [ comfort zone ] Tranquillity range is also free from silicones, parabens, artificial colours and animal derivatives. Their choice of packaging is highly sustainable and has zero CO2 impact – win win! Banish the winter blues and treat yourself to the ultimate relaxing pamper and indulge in our [ comfort zone ] Pro-Sleep Tranquillity massage at the Devonshire Spa. The treatment offers a complete mind and body wellbeing experience, offering a deep state of relaxation by combining intense sleep inducing qualities of aromatherapy, music and unique massage techniques. The 90-minute treatment also includes an in-depth consultation with your spa therapist so that they can tailor the treatment to suit your individual needs. Before your treatment, you can also make full use of our award-winning spa facilities including a hydrotherapy pool, reflexology footbaths, essence-filled sauna, steam room, aroma room and monsoon shower. Following your treatment, you will be taken to the relaxation room where you can truly unwind and forget about the stresses of everyday life. To find out more about the [ comfort zone ] Tranquillity products or treatments available, contact the Devonshire Spa team on 01298 338408.